It is true that the Biblical end will happen, but I have written this series as a counter-weight to the apocalyptic fiction coming out of Hollywood, like Armageddon and 2012, that fail to include God and His role in this approaching war of good vs. evil that was predicted 2,700 years ago. Any similarities between things that are occurring now and things written in this series are purely coincidental. It would be impossible to write a true account of the Biblically described End Times. 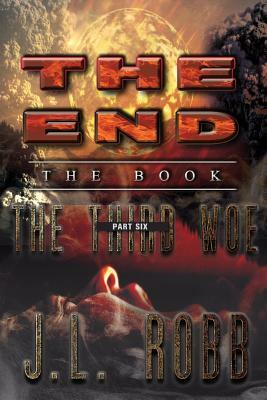 The Third Woe is the sixth book of the seven-book series and presents four of the final culminations of God’s wrath on a decadent mankind. The Third Woe begins with a blast of a trumpet and ushers in the final devastation of God’s Great Wrath when the world population rebels against the belief in God and pursues its own idols and pleasures, a world of few rules. and tragedy often do; but for most, the rebellion continues. For those living through these times, it will not be pretty. time the story was true, and there was no escape. What would you do? then? Would you fall in love? Take the kids to ballet lessons? one time, I was not a believer. Then I bought a Bible and read it. lives in the Bible Belt with his Great Dane and a kitty named Glock.